Earlier this week came a leak from the set of the fifth season of The CW’s “The Flash” showcasing a rough and very unofficial first look at the new costume Grant Gustin’s Barry Allen will be sporting – one quite different to the previous four seasons and more accurate to the comics. Gustin, unfortunately, became the victim of body-shaming criticism and penned a letter combating it, adding that the costume wasn’t camera-ready yet and it was still going through some adjustments. 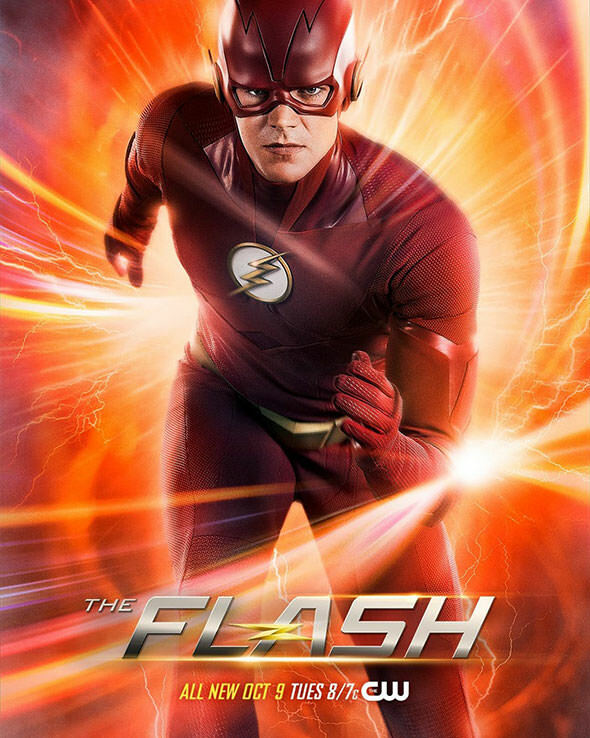 A few days later and the network has now just released the first official promo poster for the new season including a first proper look at the outfit which offers a new cowl with no chin strap, more vibrant colors, and ditches the leather in favor of lighter fabric. The costume is reportedly a gift courtesy of Barry Allen and Iris West’s time-travelling future daughter, Nora and is housed within a ring. “The Flash” returns Tuesday, October 9th on The CW. Next articleFox’s Post-Disney Takeover Plans Revealed?